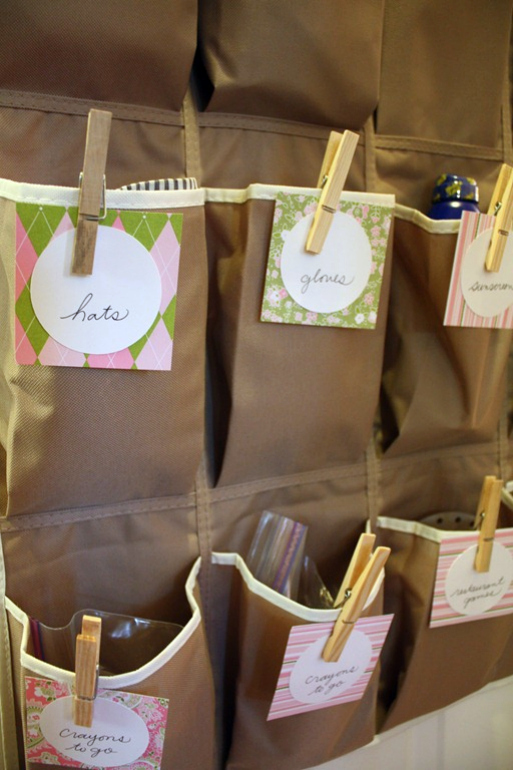 IHeart Organizing: Reader Space: A Thoughtful & Organized Place! 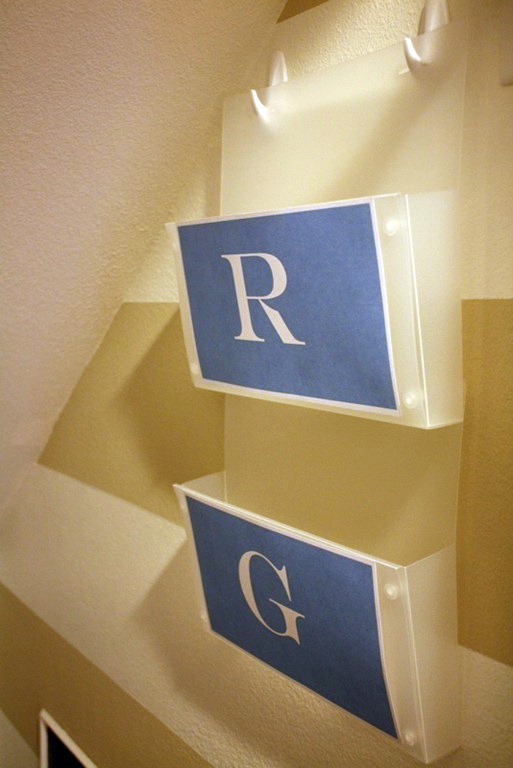 27 Reader Space: A Thoughtful & Organized Place! My girl Courtney run's the most fantastic blog called, A Thoughtful Place, and it's another one of those stop by for a quick peak and find yourself leaving three days later after every last post is read kind of blogs! 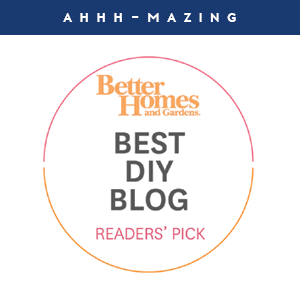 I pop by her blog pretty frequently and have been astounded by some of her organizing ideas and how she not only organizes, but beautifies as well! A D O R E! And she totally makes all of her ideas budget friendly and do-able, which is really what really matters! 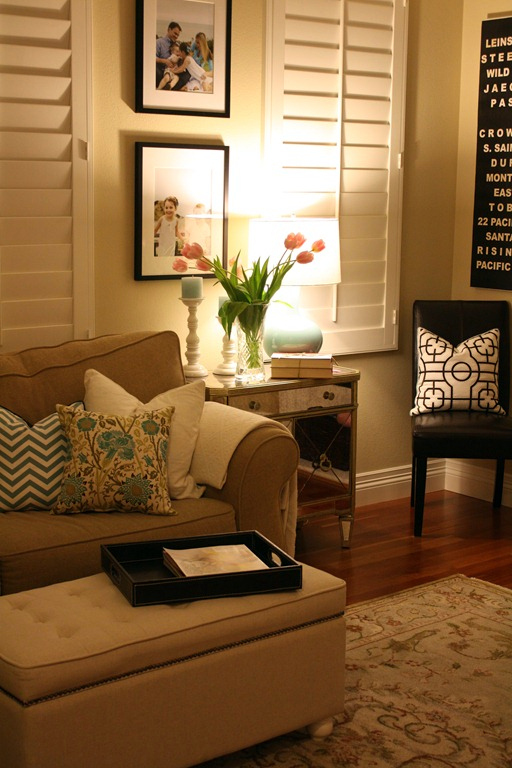 When you typically enter a home, where do you begin? 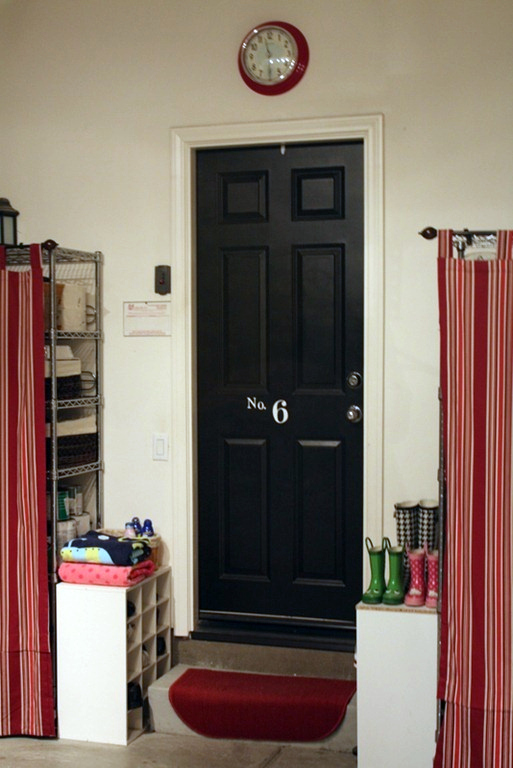 You have an entry, or "mud room" or coat closet. So that's where we will start with Courtney's home. How cute is that? Seriously? 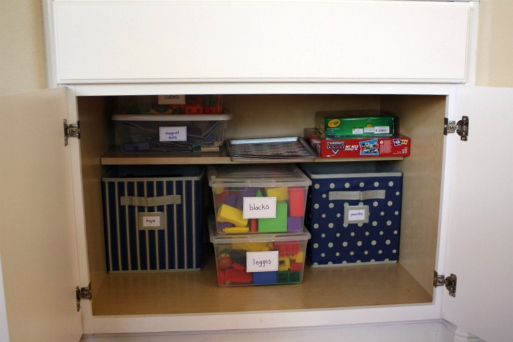 It's the perfect place for her littles to store their paperwork, shoes, sweaters and totes! Pitter Patter! 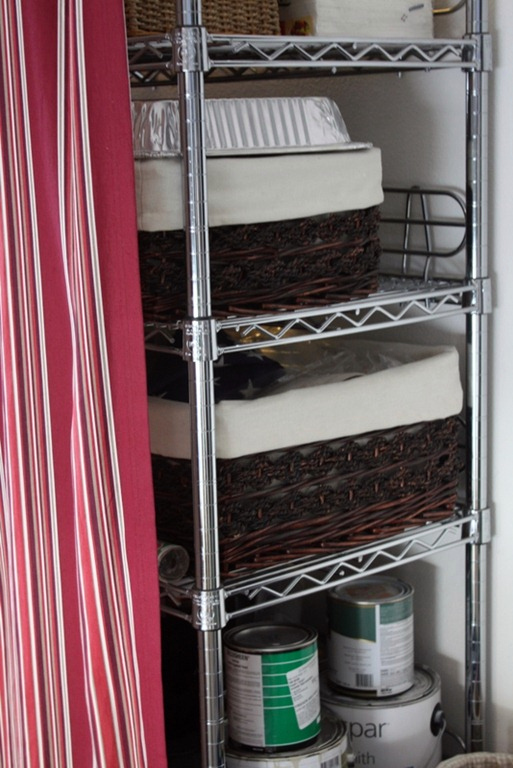 She started out by painting some incredible stripes and adding a bench and some Dollar Tree baskets below for shoe storage! Yeah, that back panel is actually a magnetic board! So fun! 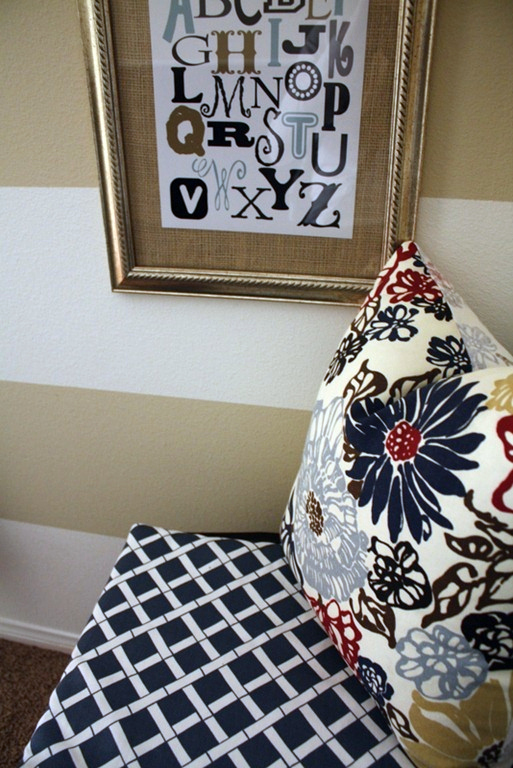 And anyone looking for ideas on how to stash all that incoming school paperwork until you can file it away, or art projects for those kiddos home all day and working on a gazillion things at once... Courtney's solution is so smart! She found the plastic snap paper holder from The Container Store for around $10 and printed out monograms for the faces to identify each slot! Totally great right? 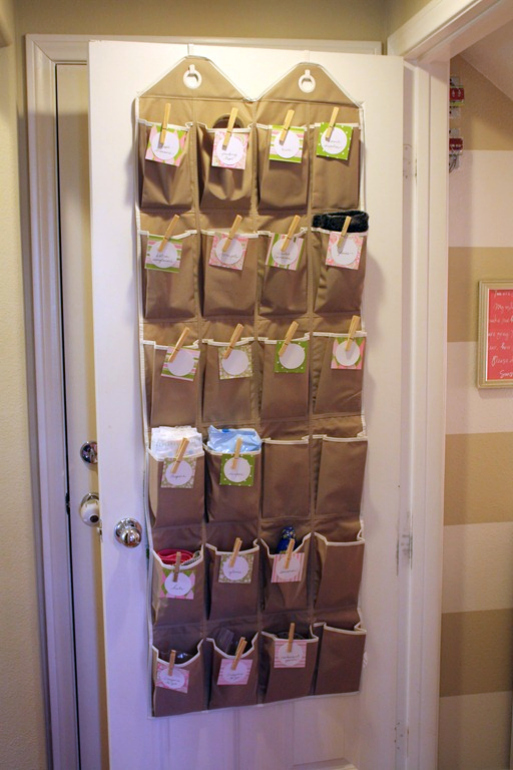 And to REALLY maximize the space, she went with an over the door shoe organizer to hold all those little pesky items that have no where to live! When she fills a pocket, she has an easy to update label system! I know she made this fantastic zone for her kiddos, but I might just want to come and chill out in there with them. It's pretty incredible, but if I did, I would miss out on the rest of her lovely home... so let's keep going! She emptied out the closet and purged purged purged. 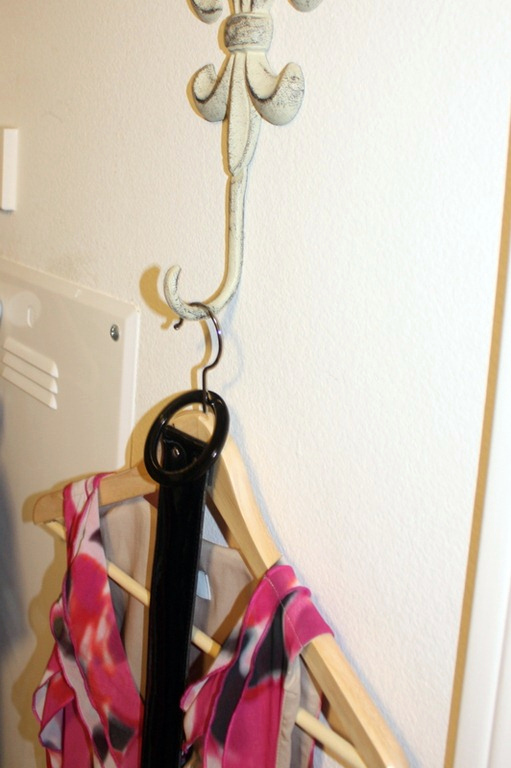 She invested in wooden hangers which only cost about $60 for the entire closet and from what I can see, it was the biggest most streamlined impact! She added a nice dresser to replace all the plastic storage bins and found storage boxes for the top shelves from Target for $8 for two! WOW right? Here is what this shows so well. 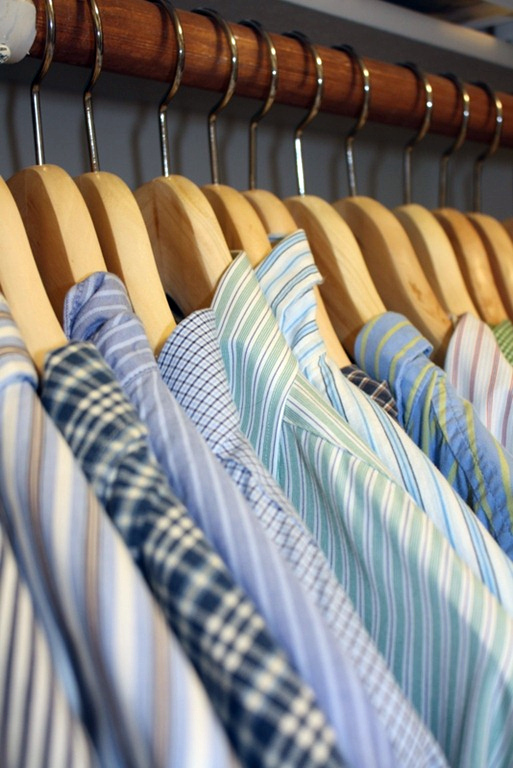 Sticking with a common color theme within your closet just as you would in any room in your house, makes all the difference in the world. The reason why I always encourage a little beautification with the organization is because when we are proud of our spaces, we are more driven and disciplined about keeping them that way! I love the white vase and tray for accessory storage. And those boxes from Target up above are super smart for keeping less used items concealed yet at an arms reach when necessary. Back to those hangers! Look at the difference they made in the space! And shoe organizers are rarely used for shoes. They are just too perfect for anything small that needs to be wrangled. Like more accessories, such as belts and scarves! She even has a hook to set out her planned outfit for the following day! Good thinking girl! Courtney wanted to make it an area that was easier to maintain not just for her, but for those kiddos of hers. I think she did just swimmingly! 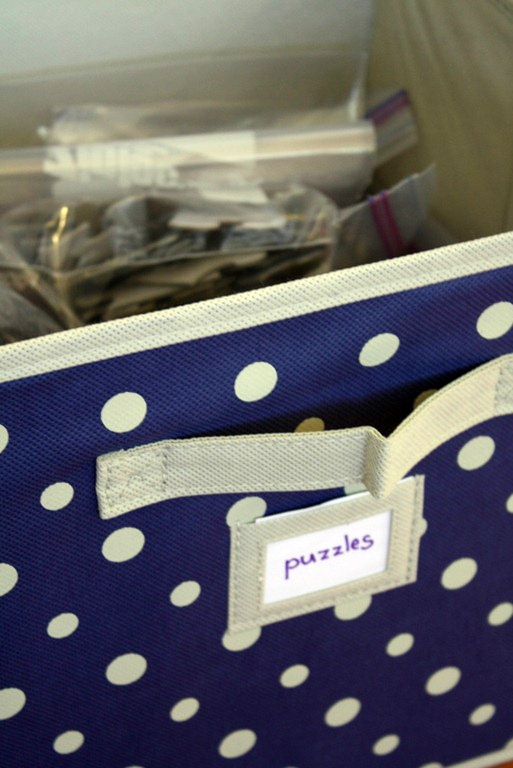 Her and I are totally on the same page when it comes to storing puzzles! Ziploc baggies and a bin. Such a space saving idea! 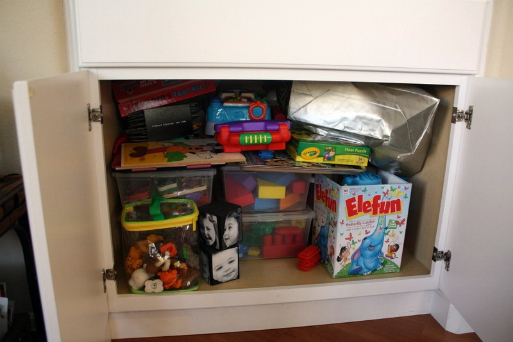 Clear bins are a great way to store toys, then kid's are able to visually see the contents! And how fantastic and creative are these trays? 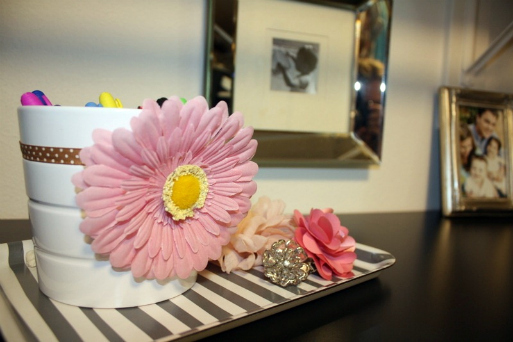 Cookie sheets with fun paper! 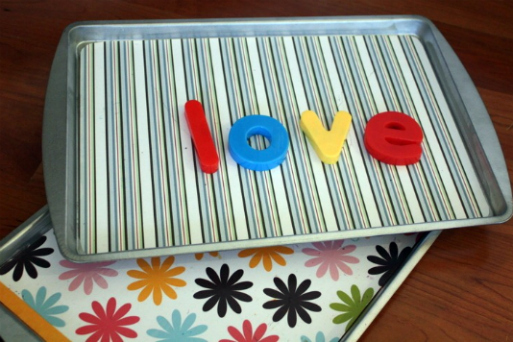 Great for those magnetic letters or as a writing tray in the car on long trips! On the way out of the tour, I am going to take a peak at her garage. That always seems to be one of the hardest spaces for individuals to get excited about organizing... Until you see this INSPIRATION!! 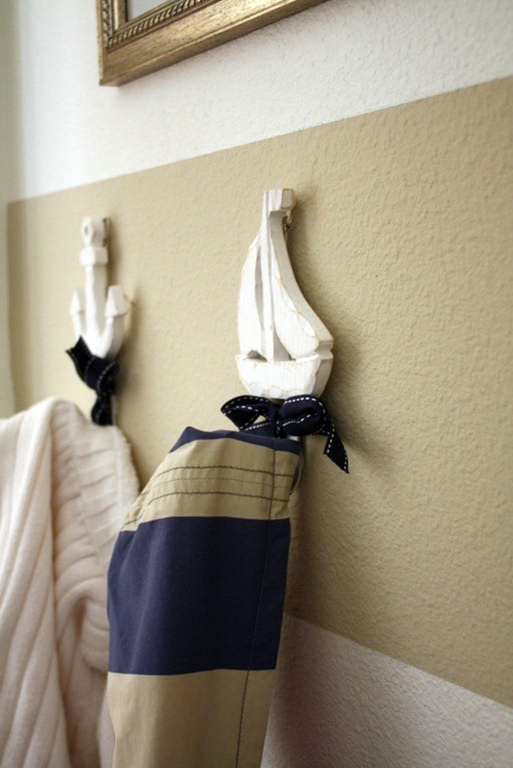 I have never seen curtains used in a garage but I absolutely am SMITTEN over this smart idea! 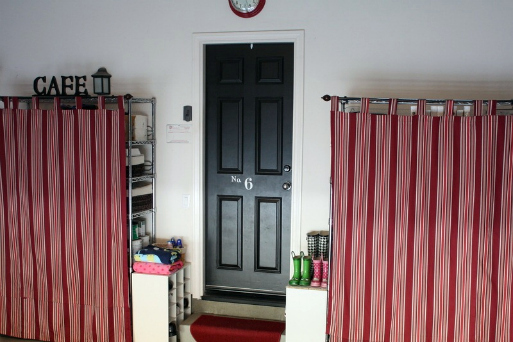 Garage contents can be so hard on the eyes visually, that this is a great solution to concealing them! 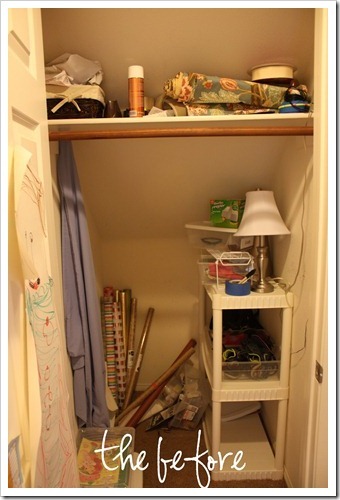 Some of the things she did here were add curtain rods to the fronts of her shelves, painted out the door entering into the home and added a pretty decal and ensured they had easy access to all of their shoes on the way out! 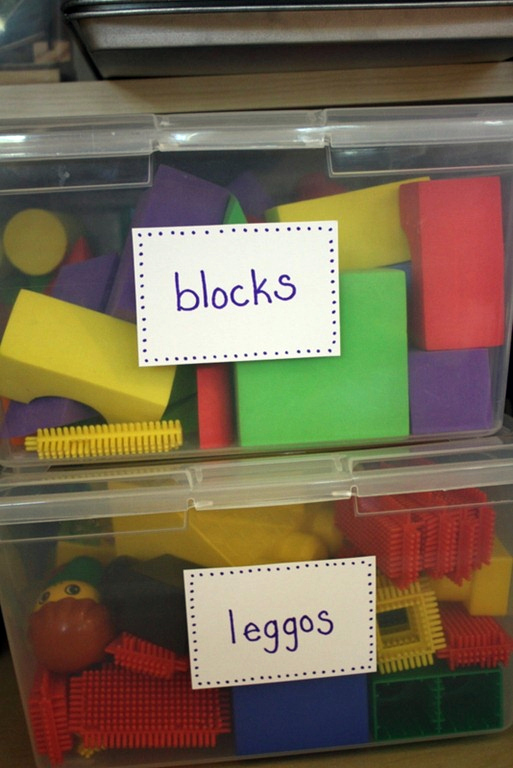 Organized and inviting! Win win! 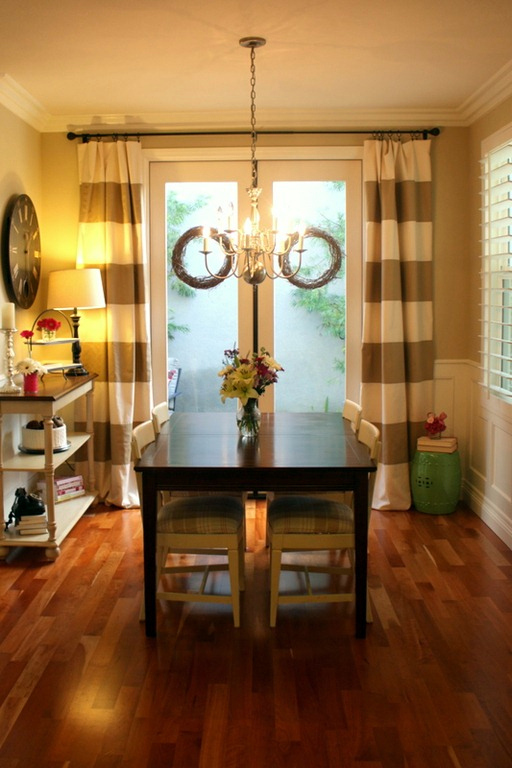 I could stay all day... have you seen her dining room? You guessed it, the living room is gorgeous too! So pop on over to A Thoughtful Place and make yourself at home! You will enjoy every second you are there! Let's chat about all the ideas seen here today! Anything stick with you that you can't wait to implement in your own space? What do you love? Leave Courtney some props and love for a job beyond well done! ATTENTION!! Want to be featured in a Reader Space edition? 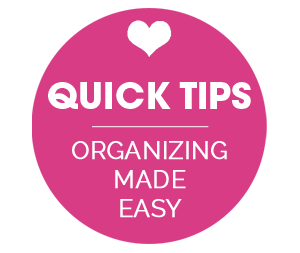 Have an awesome organizing story to share? I am looking for projects that have made a positive impact to your life. Please send your story and photos to iheartorganizing@gmail.com and I would heart to feature them right here, on the blog!! Photos should be high resolution and un-editted. Please include a description of the project, including any costs, inspiration, and how it has changed your life and routine for the better! Oh, and no worries my friends, we will NEVER judge "before" pictures because that just wouldn't be nice! Only love goes on at this blog! More Info HERE. I love everything about this home! Especially the garage! 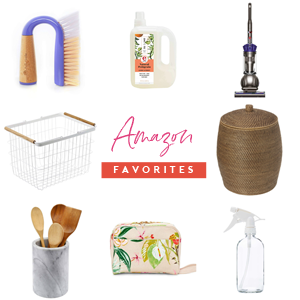 That has totally inspired me to clean out our garage...even though its well over 100 degrees outside right now...eek...maybe I'll wait until October! But wow! Way to go! 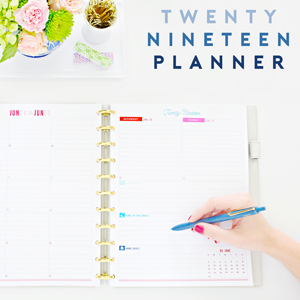 What a great way to get organized with an intuitive system that works that's not an eyesore! Kudos! Dear goodness, I've been to her blog in bits and pieces and never got the full effect until now. The girl is a genius!! I will be combing through her blog. My idea file just got fatter and fatter. LOL Thanks for sharing! Absolutely brilliant! The kitchen looks so fresh and inviting! What a beautiful home. Love all of your great ideas and the fact that you feature other wonderful organizers/guest posters too. Keep up the good work! Curious what you all do for wooden puzzles? Do you just stack them? 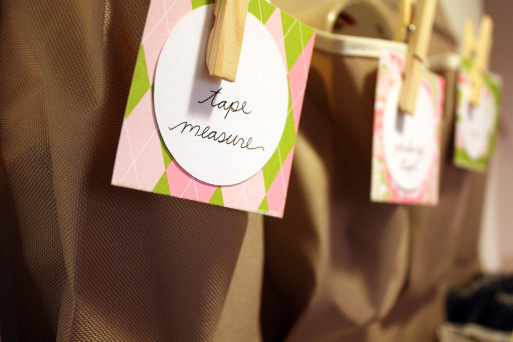 I love the ziplock bag idea. 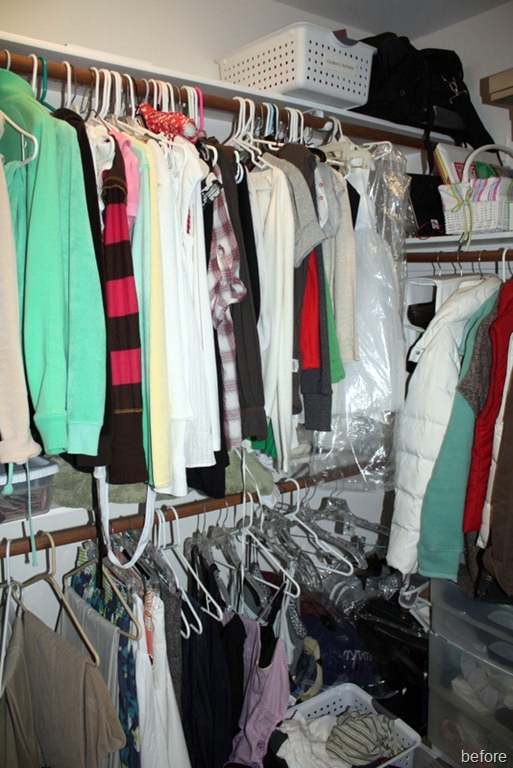 I love her closet too. 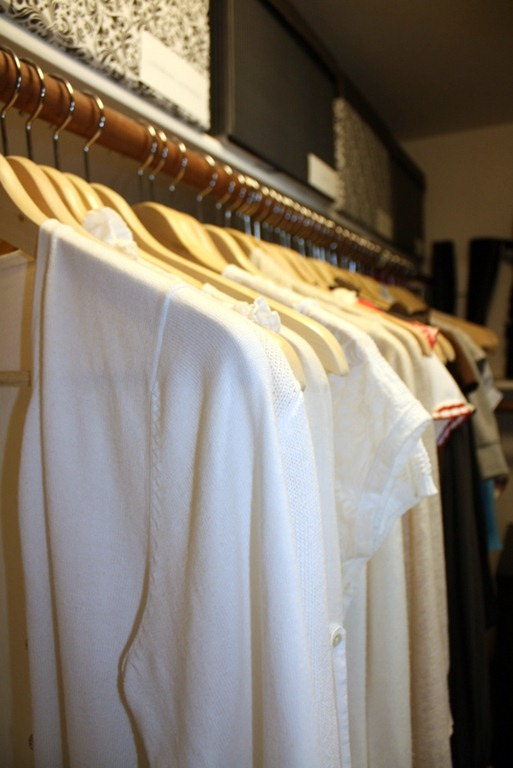 I want the thin hangers that hold shirts well. Great post Jen. OoO I love her kitchen and all of her other beautifully organized home. I don't think I've ever seen all of Courtney's fab organization in one post, it is a marvel...seriously, with kids at home, that is practically a miracle! 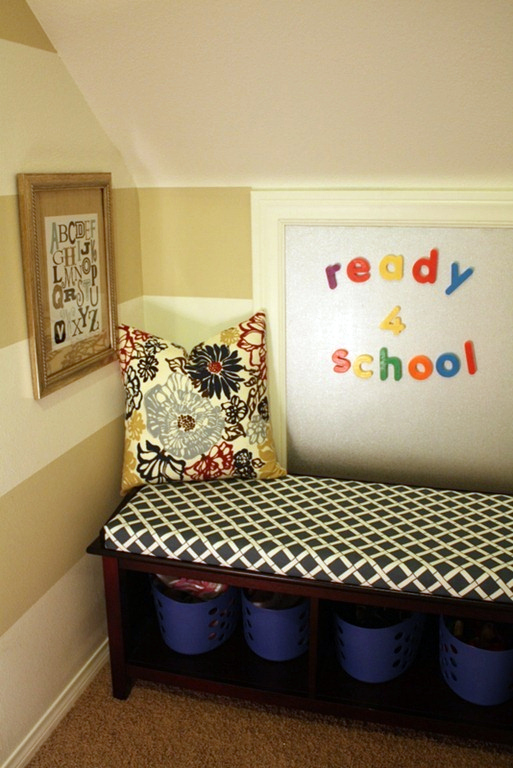 (c: I still absolutely love that mudroom/playspace makeover, so brilliant! Great post, Courtney! Jen, thank you so much for such a special feature. Your blog is a constant source of inspiration for me so this is such a treat. Your readers have been wonderful! I am a follower of Courtney's blog as well. She is such a sweetheart, and is a girl after my own heart with all her mad organization skills!! Def checking out her blog! I really, really wish I could bring her to my house for a week to do her magic. Beautiful, beautiful home!!! I wrote a blog entry and linked you in it. Your blog is so inspiring! Thank you for featuring one of my fave girls! I love seeing all her organizing in one spot...she's got skillz, that's for sure! Yes Courtney's organization skillz are crayzay good! Her garage is ridiculous it's do good! She's so inspiring! What a beautiful - and well-organized - home! 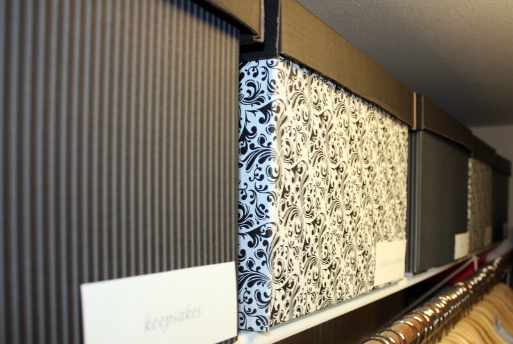 I need to get motivated and get the hubs on board so we can make a beautiful, functional closet like Courtney's! Love it! 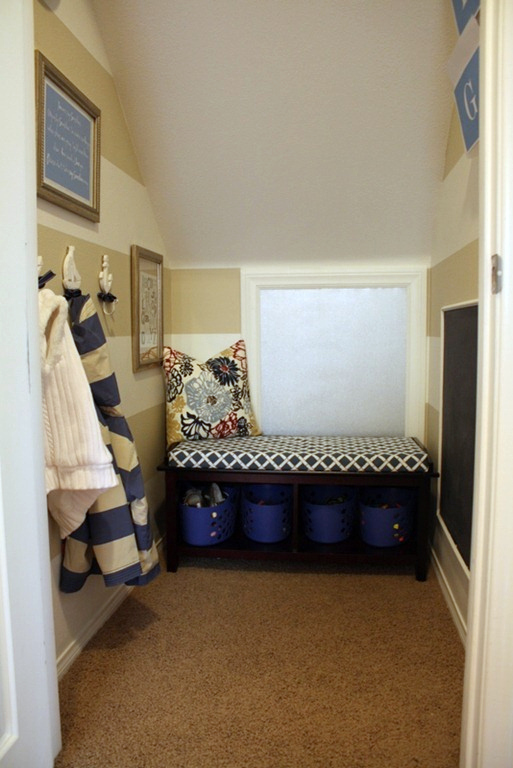 I am most in love with that mini mudroom! But all of it is lovely. What's hilarious to me is that I have that picture of her kitchen saved in my inspiration file on my computer but didn't know where it came from. I don't know how I came upon it since I don't think I'd ever visited her blog. Oh well, glad to know now and to read her blog. Thanks! 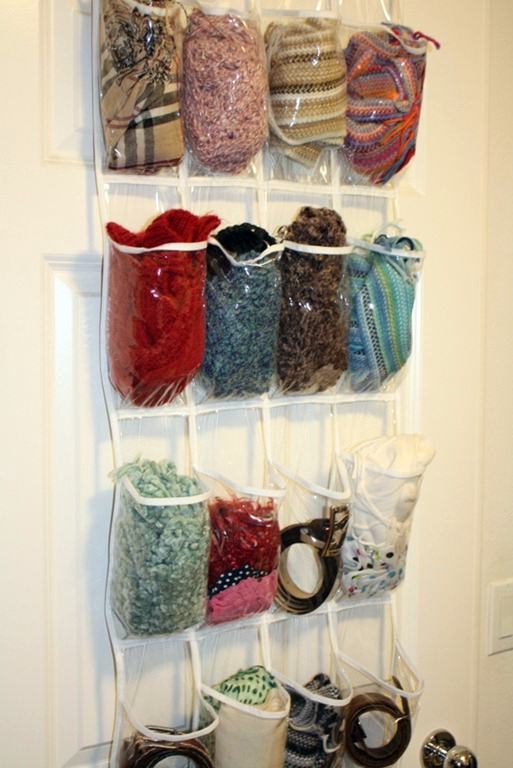 the scarf and belt door organizer fits my needs prefectly!! 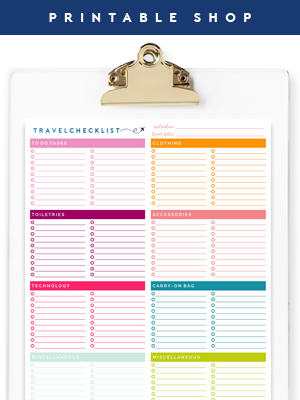 i'm going to run and get an organizer this week! !